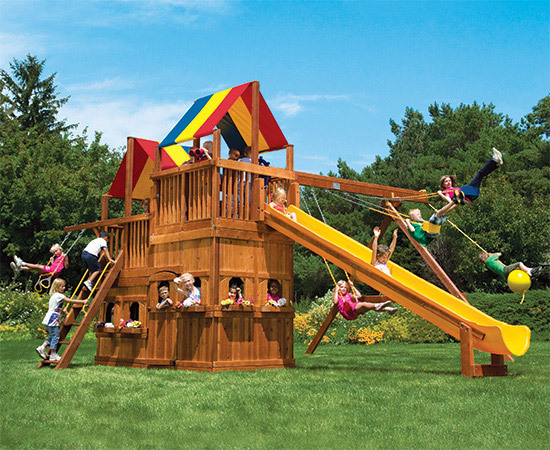 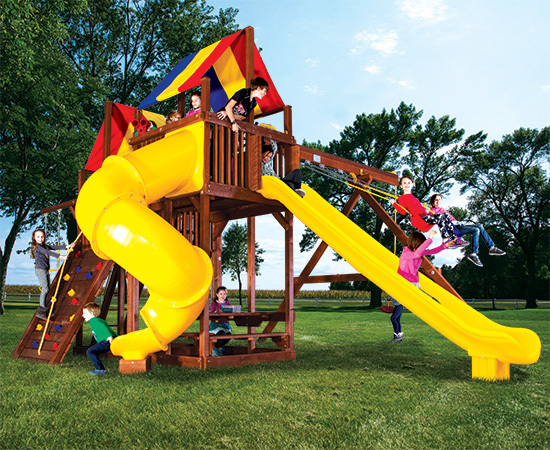 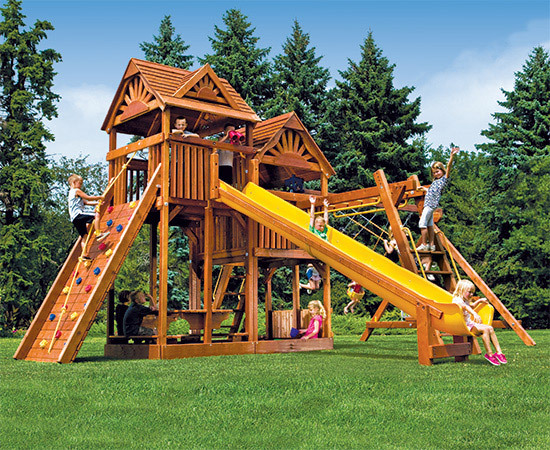 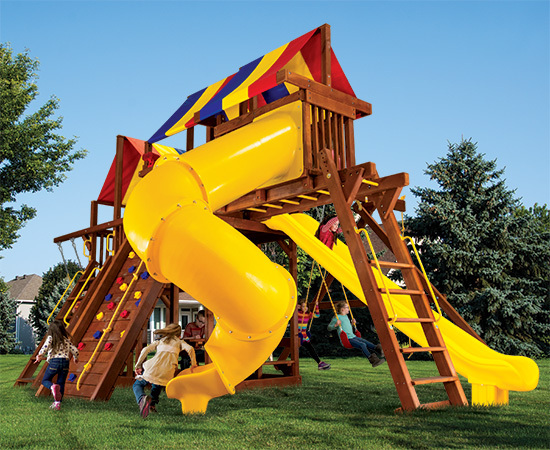 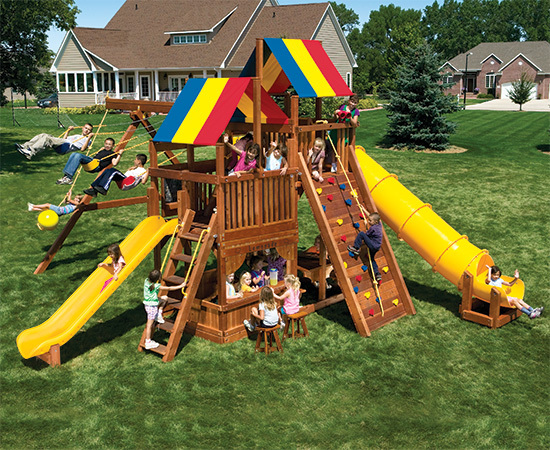 Our King Kong Clubhouse playset is absolutely the Biggest Clubhouse in America! 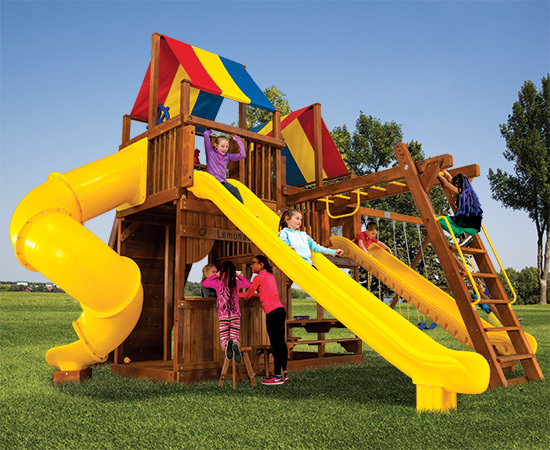 We have incorporated a built in multi-level climbing system to allow even the youngest climbers a safe journey to the top. 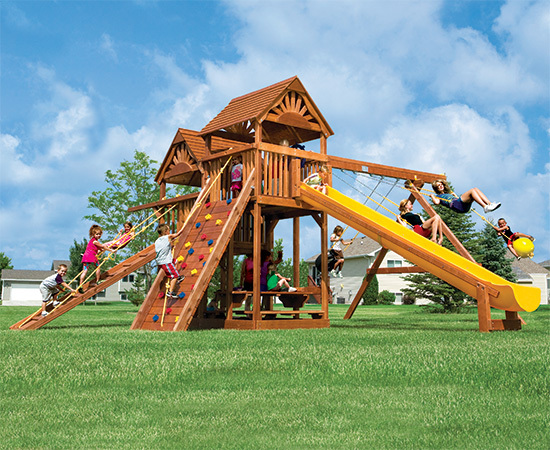 With a tall deck at 7’ 2”, comes an even taller swing beam, 10.5’ high. 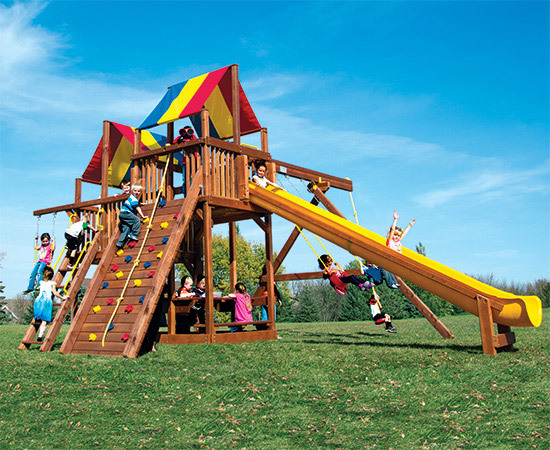 Even the Super Scoop Slide is supersized at 15’ long. 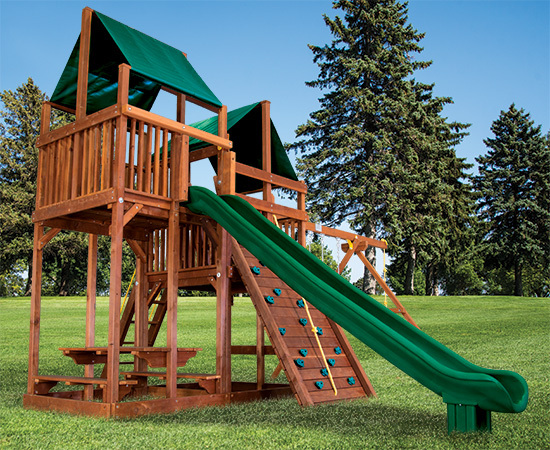 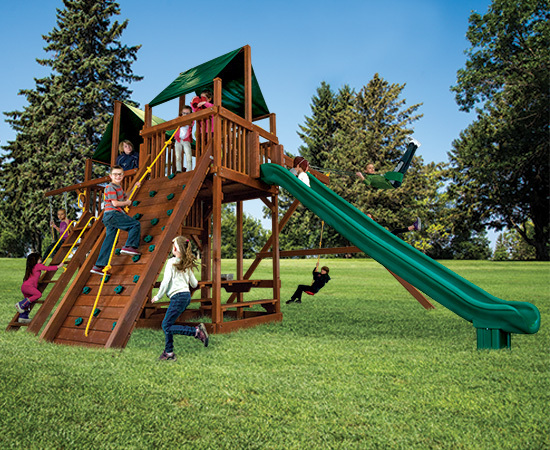 Double the trouble with dual slides, upper level cabins, or the ginormous King Kong playset Penthouse. 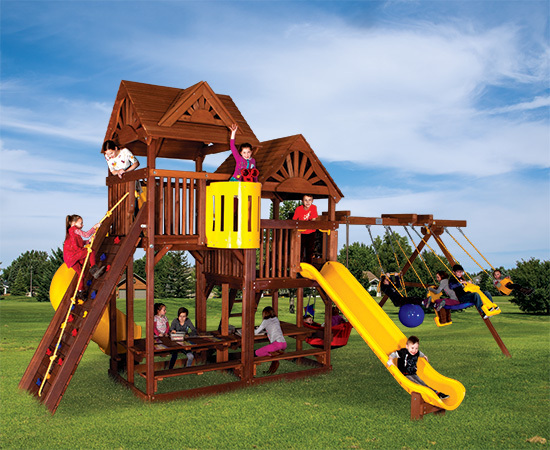 It features endless customizable possibilities with its modular and fully expandable design. 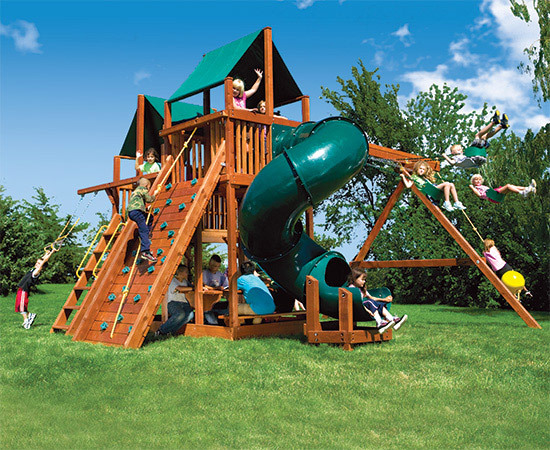 If your family has both little kids and big kids – the King Kong Clubhouse rules!